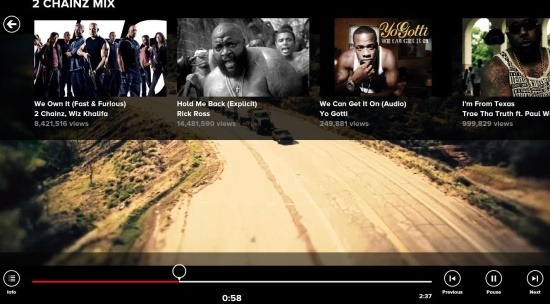 VEVO app is an official music videos app for Windows 8 by VEVO LLC. VEVO is a joint venture website by SONY, Abu Dhabi Media, and Universal music group. VEVO contains more than 75,000 music videos performed by more than 21,000 artists. Now you can watch all those music videos, live performances, original shows, and find new artists for free on your Windows 8. You just need an internet connection to stream those HD videos from anywhere and anytime. VEVO is one of the famous channel in YouTube; the reason being VEVO videos are embedded across the web, with VEVO and Google sharing the revenue generated by their ads. This official VEVO app is also designed very beautifully and with simple controls. Let’s see more details about the interface below. As soon as you install the app and launch it, you will see a login interface as shown in above image. 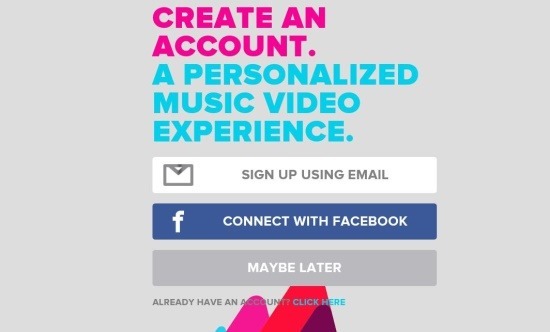 You can either Sign Up with your email or connect with Facebook or click on Maybe later to skip the registration process. You can also use the Click Here option to sign in, if you have an account already. Now after you complete this process, you will see the interface as shown in below screenshot. 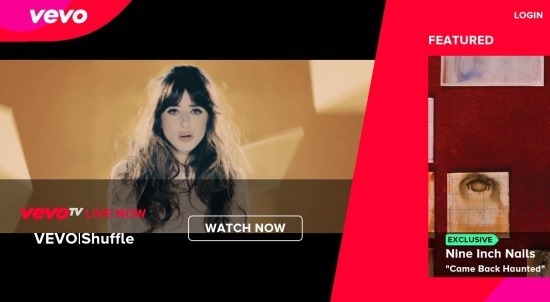 Watch Now: In watch now section, you can view a random music video played by VEVO TV. 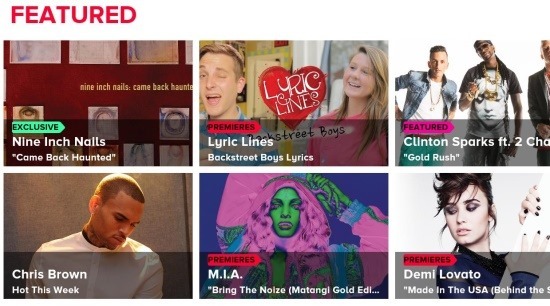 Featured: In featured section, you can view: exclusive, premieres, and playlists selected by VEVO. Premieres: In this section, you can view premieres of all genres. If you want to choose a genre then click on All Genres and in the drop down menu you can select the genre you want. Top Videos: In top videos section, you can view all famous or top rated videos. Top Artists: Here you can see top artists and when you click on them, you can see the music videos of those artists. Shows: In shows section, you can view music shows from all around the world; that are being recorded. Once you open a video, you will observe that the videos are being played in good quality as shown below. Now you can view the playback controls and videos in loop by right clicking on the interface. Then you can see the options to: pause, play next or previous song, info, and songs in loop. This app is free on Windows 8 store. You can watch HD or high quality videos. You can view top artists, new artists, live performances, and more. The app can be used in Snap mode also. 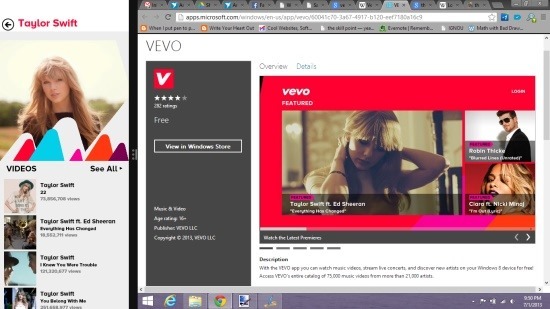 To install VEVO app on your Windows 8, just open this link in IE10 and then view the app in Windows store. There click on Install to get it on your Windows 8. So, install VEVO app and enjoy those HD music videos on your Windows 8. You can also try KEXP music app or Songza app.